18mm x 150mm Magnum, Square Leg / Reveal Liner Fascia In Dark Grey. This is a plain fascia board, it does not have woodgrain effect. ..
18mm x 175mm Magnum, Square Leg / Reveal Liner Fascia In Dark Grey. This is a plain fascia board, it does not have woodgrain effect. ..
18mm x 200mm Magnum, Square Leg / Reveal Liner Fascia In Dark Grey. This is a plain fascia board, it does not have woodgrain effect. ..
18mm x 225mm Magnum, Square Leg / Reveal Liner Fascia In Dark Grey. This is a plain fascia board, it does not have woodgrain effect. ..
18mm x 250mm Magnum, Square Leg / Reveal Liner Fascia In Dark Grey This is a plain fascia board, it does not have woodgrain effect. .. Attention! You're buying 1x 1.245 metre length. Full 5 metre board is avaible for collection only, please call us for more details and arrangements. 410mm Double Ended Magnum, Square Leg / Reveal Liner Fascia In Dark Grey. This is a plain fascia board, it does not have woodgrain effect. ..
10mm x 175mm Square Leg / Reveal Liner Fascia In Dark Grey. This is a plain fascia board, it does not have woodgrain effect. ..
10mm x 200mm Square Leg / Reveal Liner Fascia In Dark Grey. This is a plain fascia board, it does not have woodgrain effect. ..
10mm x 225mm Square Leg / Reveal Liner Fascia In Dark Grey. This is a plain fascia board, it does not have woodgrain effect. .. Attention! You're buying 1x 1.245 metre length. Full 5 metre board is avaible for collection only, please call us for more details and arrangements. 10mm x 410mm Double Ended Square Leg / Reveal Liner Fascia In Dark Grey. This is a plain fascia board, it does not have woodgrain effect. .. Attention! You're buying 1x 1.245 metre length. Full 5 metre board is avaible for collection only, please call us for more details and arrangements. 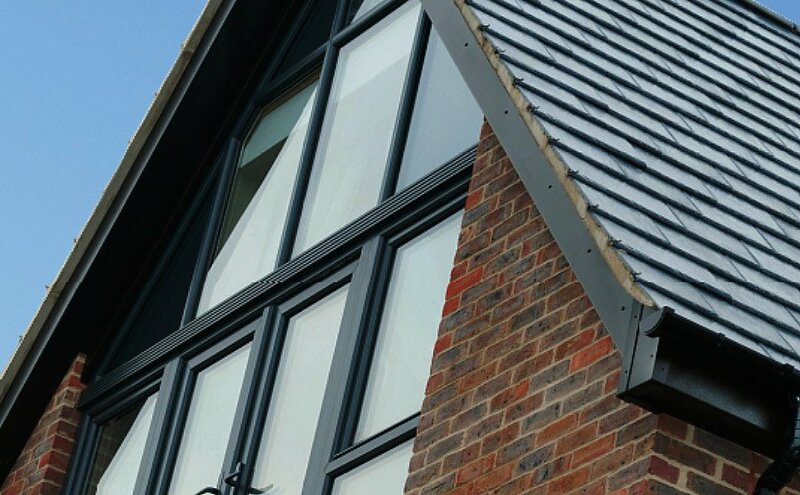 10mm x 605mm Double Ended Square Leg / Reveal Liner Fascia In Dark Grey. This is a plain fascia board, it does not have woodgrain effect. ..
10mm x 150mm General Purpose Board / Flat Board / Fascia In Dark Grey. This is a plain fascia board, it does not have woodgrain effect. ..
10mm x 175mm General Purpose Board / Flat Board / Fascia In Dark Grey. This is a plain fascia board, it does not have woodgrain effect. ..
10mm x 200mm General Purpose Board / Flat Board / Fascia In Dark Grey. This is a plain fascia board, it does not have woodgrain effect. ..
10mm x 225mm General Purpose Board / Flat Board / Fascia In Dark Grey. This is a plain fascia board, it does not have woodgrain effect. ..
10mm x 250mm General Purpose Board / Flat Board / Fascia In Dark Grey. This is a plain fascia board, it does not have woodgrain effect. ..
10mm x 300mm General Purpose Board / Flat Board / Fascia In Dark Grey. This is a plain fascia board, it does not have woodgrain effect. ..
Sold in 1.245m lengths 10mm x 350mm General Purpose Board / Flat Board / Fascia In Dark Grey. This is a plain fascia board, it does not have woodgrain effect. .. Attention! You're buying 1x 1.245 metre length. Full 5 metre board is avaible for collection only, please call us for more details and arrangements. 10mm x 405mm General Purpose Board / Flat Board / Fascia In Dark Grey. This is a plain fascia board, it does not have woodgrain effect. .. Attention! You're buying 1x 1.245 metre length. Full 5 metre board is available for collection only, please call us for more details and arrangements. 10mm x 605mm General Purpose Board / Flat Board / Fascia In Dark Grey. This is a woodgrain fascia board not a plain matte colour board. ..
300mm Hollow Soffit In Dark Grey. This is a plain hollow soffit, it does not have woodgrain effect. ..
600mm Square Joint In Dark Grey. This is a plain item, it does not have woodgrain effect. ..
300mm Square Corner. This is a plain item, it does not have woodgrain effect. ..
600mm Square Corner In Dark Grey This is a plain item, it does not have woodgrain effect. ..
300mm Internal Square Corner In Dark Grey. This is a plain item, it does not have woodgrain effect. ..
Gable Finial Dark Grey This is a plain item, it does not have a woodgrain effect. ..
Soffit Ventilator for Hollow Soffit In Dark Grey. This is a plain board, it does not have woodgrain effect. ..
Starter Trim / J-Section for Hollow Soffit In Dark Grey. This is a plain item, it does not have woodgrain effect. ..
Joint Trim / H-Section for Hollow Soffit In Dark Grey.Sold in 2.5m lengths This is a plain item, it does not have woodgrain effect. .. External Corner Trim for Hollow Soffit In Dark Grey. Fits 10mm Hollow Soffit. This is a plain fascia board, it does not have woodgrain effect. ..
Wall Trim / F-Section for Hollow Soffit In Dark Grey. This is a plain item, it does not have woodgrain effect. ..